The modern day action film started to take shape with the release of Sam Peckinpah’s the Wild Bunch and while viewers of a certain age may not realize it, but it was one of the pioneers in the action genre. The 70s with the Dirty Harry films and Peckinpah again with the Getaway really put down the ground work of what we would see in the 80s and beyond; First Blood (more so First Blood: Rambo Part II) and Lethal Weapon shaped the 80s action film along with the first Die Hard and I don’t think any other action films made that much of an impact (not counting the Lethal Weapon and Die Hard sequels all, which helped elevate the genre). But since the Michael Bay era started the action film has gone straight to hell for the most part. While there were some decent films to come out I can honestly say I’ve disliked the bulk of action films with a few exceptions such as films like Lethal Weapon 4, Rambo and Tarantino’s Kill Bill movies to name a few. After Die Hard with a Vengeance in 1995 the series would be over until 2007 with the release of Live Free or Die Hard, which unlike the past 3 was rated PG-13 and started a change in the series and in some ways Die Hard with a Vengeance started that change as originally it was written as an original film and rumors were also it was considered as a Lethal Weapon sequel, which from what I can gather is totally false, but the script went through a rewrite and made into a Die Hard sequel and while a bit different it still feels like Die Hard, but with A Good Day to Die Hard it really doesn’t even feel like a Die Hard film and unlike part 3 this feels like a film rewritten to be part of the franchise. 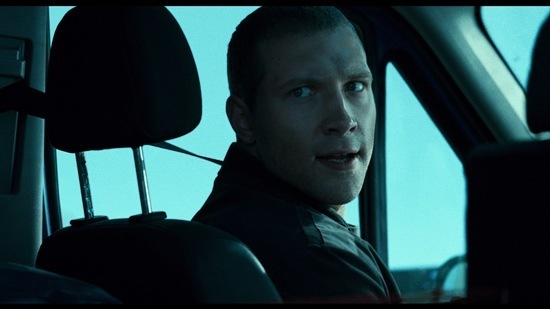 Sadly with the return of the series quality has gone down the drain as its the typical Hollywood productions, but at the very least Live Free or Die Hard was watchable, but A Good Day to Die Hard was a rather terrible film and it might be A Good Day for the Series to Die Hard. 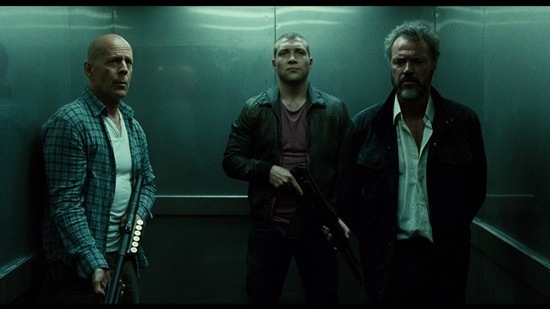 A Good Day to Die Hard is the kind of film that you watch and with each passing scene you forget what just happened. Once the movie is over it’s the type you’ll be hard pressed to remember any details of what just happened since the whole production is so completely forgettable from the boring opening to poorly paced final act nothing here is memorable. 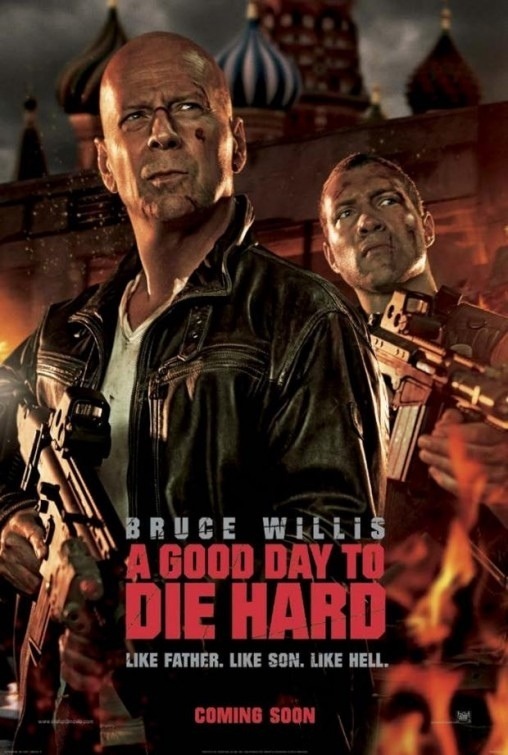 As a series goes on its fairly common for sequels to drop the the number after it and starting with the 3rd film they dropped the number and starting with the 4th Live Free or Die Hard or the absurd title of A Good Day to Die Hard it seems more thought is put into trying to come up with a witty title than a good movie. 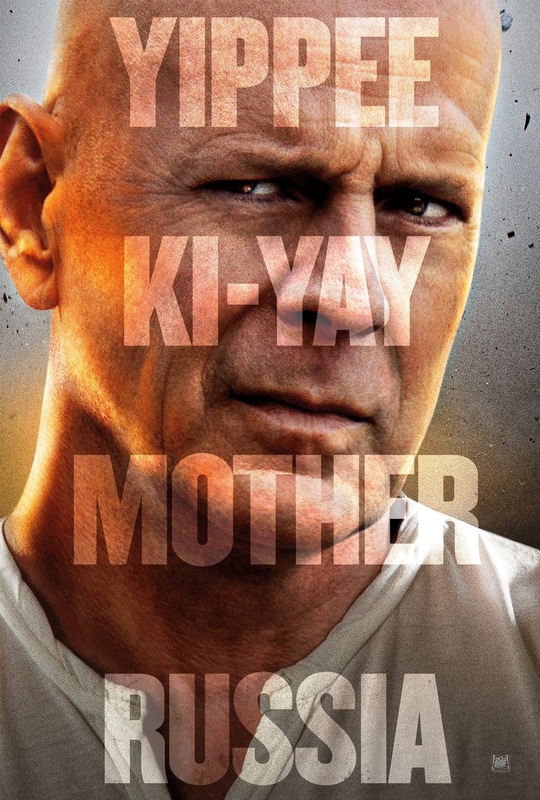 John McClane (Willis) heads out to Russia in order to help his son Jack (Courtney) who seems to be in a lot of trouble, but not long after getting there John learns his son is actually a spy for the CIA. The script by Skip Woods is horribly plotted and it seems the script was just patched together. It takes far too long until anything is reveled and it makes for a boring mess of a script. The script is also light on dialogue at times and that isn’t a bad thing since its so poorly written. John is mostly just a sidekick here, which was the first of many mistakes. The characters are boring and lifeless and the backstory between John and his son is far too cliched and poorly written for the viewer to really give a damn. While John is an established character you still need to develop him and that’s why previous parts worked well because they continued to develop John, but Woods doesn’t bother with any character development for John or any other character. The villains are by far the worst in the series as they’re bland, boring and totally forgettable. 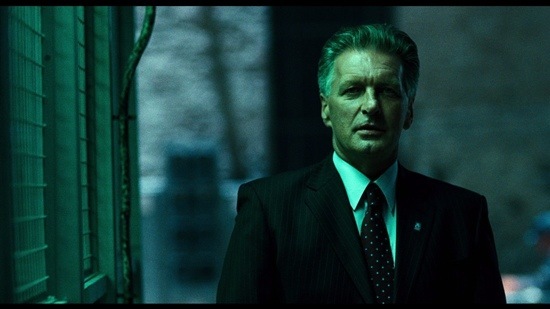 Skip Woods writes a script that’s poor in every aspect from plot to character and its your standard modern day action film and its films like these is why I avoid modern Hollywood. As poor as the script was, director John Moore makes even more of a mess out of things as the film is horribly paced and often a bit boring. Action scenes fail at bringing any excitement and are taken from every other Hollywood action film basically this is modern action 101 with no creativity at all. 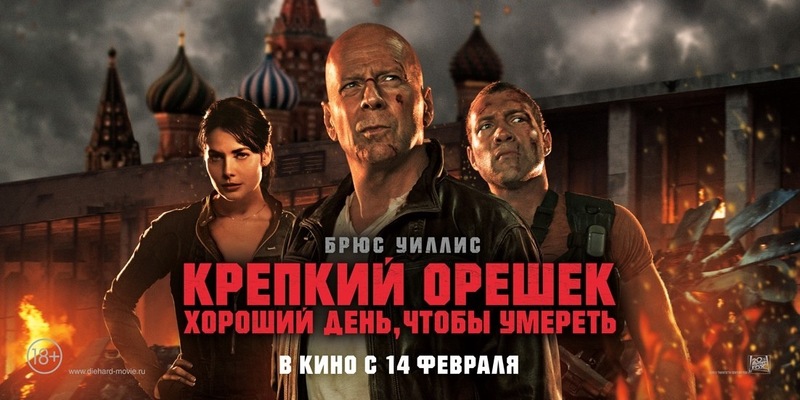 While the action sequences in the first 3 may be over the top, but yet I could still accept them and never question it whereas starting with Live Free or Die Hard and continuing here I can’t even count how many times I rolled my eyes at the idiocy. Were the action scenes that much more over the top than those of the first 3? Perhaps not, but yet something about them worked and that’s actually the problem I have in every modern action film. I think part of the problem action wise has to do with the writing as well and not just the direction. 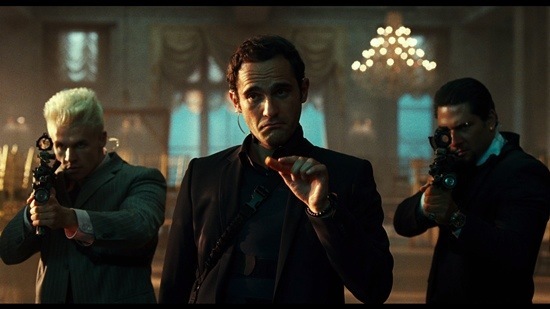 I think when the film is well written with great characters its easier to accept the over the top action scenes and not question them, but when the film is poorly written with bland characters that’s when I can’t suspend my disbelief. Though make no mistake even with the poor writing, Moore delivers a terribly paced film and by the final act I wasn’t even paying attention anymore and the action sequences are hands the worst of the series and some of the worst in recent memory. Like I said there is no excitement behind them, no suspense it’s just a poorly made film by a poor director. 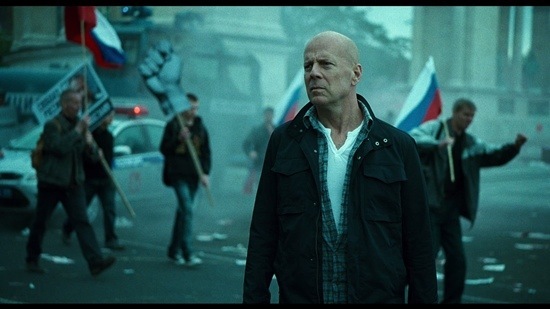 The only positive aspect of the film is Bruce Willis who is still giving it his all and while it would be easy to phone it in due to the poor product, but Willis is a trooper and at the very least helps at least keep the film semi-watchable. Most reviews for A Good Day to Die Hard are poor and I can honestly say they are legit. It isn’t an angry fan boy rant the poor reviews are spot on a this film is rather poor and while I like the franchise there are many action films I like more, but I can say Skip Woods and John Moore made me not care about this series anymore and I have no desire to see a follow up and I’ll just stick with the classic first 3. 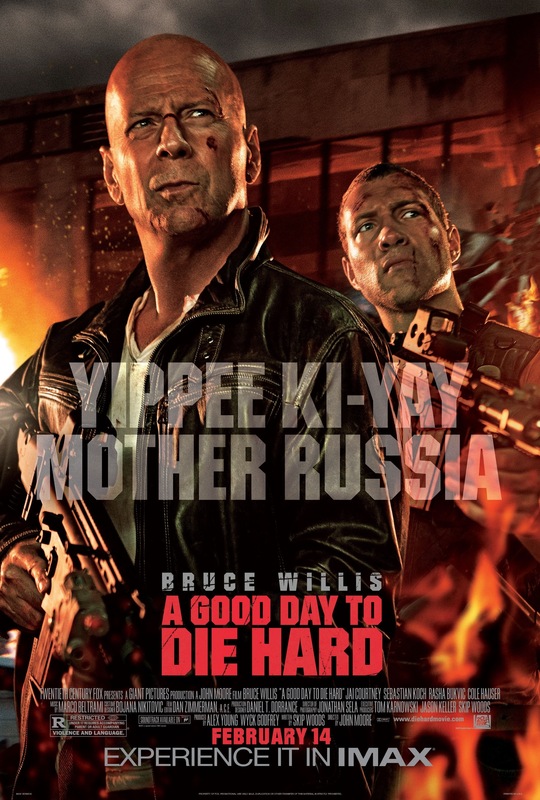 A Good Day to Die Hard is a mess of a film and even the biggest fans of the series are bound to dislike this. For me it’s not a shocker as I stated before I greatly dislike the vast majority of modern action since the Michael Bay era.